"Hey! 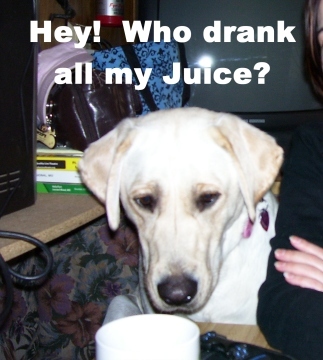 Who drank all my juice?" Here is a cute photo of Maya looking into a cup. I have added a cute caption which seems to fit what Maya could have been thinking at the time the photo was taken. Feel free to share your cute dog photos. This post is in dedication to my sister, Julie, and my cousin, Emily, who are both due to have a new member in the family in 2010. For people with dogs who are expecting a new baby in the family, it is important to prepare the dog (or dogs) for the new arrival. You will want to implement changes which will affect your dog when the baby arrives BEFORE the baby arrives. For example, if you take the dog for a walk every morning but will most likely be unable to do this every morning when the baby arrives, mix up the times when you take your dog for a walk. This way, the dog doesn’t associate the baby with interfering with his scheduled walks. Or if you take the dog to the park every weekend, but don’t think you will be able to when the baby arrives, reduce the number of weekends you take the dog to the park, hire a dog walker to take the dog for walks, or schedule a day for your dog at doggie day care. Make sure you dog knows their proper pack order. It is not a bad thing for your dog to be at the bottom of the pack list. It just means that you and all the human members of your family come first. This is very important for several behavior issues in dogs. And generally, a happy dog is a dog who doesn’t have to take on the stressful role of pack leader and fill in where the human pack members are falling short. If your dog is pushy and has a way of acting badly in order to get what they want, then you are not the pack leader. Don’t worry, you don’t have to use any force whatsoever in order to move your dog to the lower rungs of the pack order. Violent methods of forcing your dog onto their back or physical punishment are NOT NEEDED! It is very simple to move your dog to bottom of the pack list, but it takes time so do it before the baby comes. The first thing you need to do to put yourself and your other family members at the head of the pack is to stop giving your dog special treats and toys when the dog hasn’t earned them. Pick up all their toys and put them away. Take one toy at a time and give it to the dog to play with only after they perform a command, such as sit. When playtime is over, take the toy back and put it away. Only give the dog a treat after they have done a trick or followed a command. Everyone in the family needs to participate in this. The second thing you can do to move family members to the top of the pack list is to stop allowing the dog on the furniture or beds. Give them their own special place to sleep, such as in a dog bed, a crate, or put them in a separate room. Other things you can do to move your dog to the bottom of the pack list is to follow these rules: Family eats first – dogs do not get to eat until after the family has eaten their meal; People go through the door first – don’t let the dog push their way through. Make them sit and stay while the family goes through the door; Make your dog move (without using force) when you want to walk somewhere – don’t walk around your dog; Practice obedience – take 10 minutes a day or every other day going over basic obedience commands and tricks. Each family member needs to participate; Establish off-limit areas of the house – a dog who has freedom to go wherever they want may consider themselves as a pack leader. Limiting the places where your dog is allowed to go will also help to establish the baby’s room as off-limits and/or a place the dog can only go with permission from a family member. These tasks may only be needed if your dog tends to exert dominance over the human members of the family. If your dog is already at the bottom of the pack order, you may not need to concern yourself too much with many of these. But if you plan on allowing things such as the dog being on the furniture, don’t change your mind after the baby arrives. Implement necessary changes before the baby comes. When the baby comes, allow your dog near the baby only during supervised sessions. Make these moments pleasant for the dog so that the dog learns to associate the baby with good things. By always keeping your baby away from the dog, the dog may develop a negative view of the baby because the baby causes the dog to be shunned from the family. 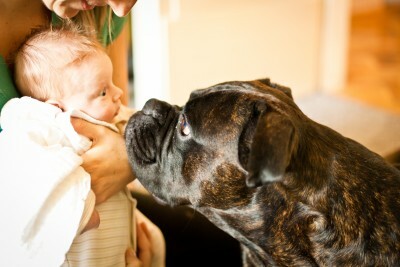 For many other great tips for preparing your dog for a baby, visit http://dogblog.dogster.com/2010/02/01/preparing-your-dog-for-the-arrival-of-your-child/?utm_source=feedburner&utm_medium=feed&utm_campaign=Feed%3A+DogsterForTheLoveOfDogBlog+%28Dogster+For+The+Love+of+Dog+Blog%29. What is better than the 2010 Westminster Dog Show? The Mutt Show! For the 2nd year in a row, The View hosts a dog show featuring mutts! Although Sadie (a purebred Scottish Terrier who was awarded the Best in Show in the 2010 Westminster Dog Show) is a very wonderful dog, mutts are great dogs too. And it is time they got their recognition. The View separates the show into two segments – the first one is for the viewers mutts and the second one is for mutts up for adoption. All the dogs were adorable, but I especially loved Katrina who was a survivor of Hurricane Katrina in New Orleans, Louisiana. Katrina wasn’t voted as best in show but she got her own special award. 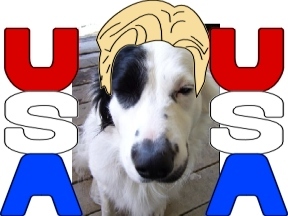 You can watch the 2nd Annual Mutt Show on The View at http://abc.go.com/watch/the-view/167365/251788/the-view-219. You can watch a behind the scenes segment of The View mutts for adoption at http://theview.abc.go.com/video/viewtube-mutt-show. We Wish You Lots of Puppy Love on Valentines Day! 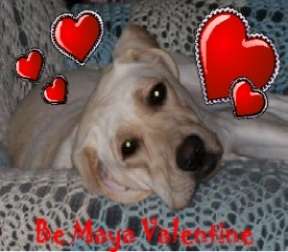 My dog, Maya, says Happy Valentines Day with lots of puppy love. Can Your Dog Help You Find Mr or Mrs Right? Have you heard that dogs have a way of knowing who to trust and who not to trust? I have too, and I believe I have seen evidence of it in some of my own dogs. One dog I have had really seemed to know who I should stay away from. His name was Smokey. He was my dog, through and through. He generally liked people and enjoyed being petted. He was with me so much that we often met strangers together. The stranger and I would shake hands, talk, and sometimes we would even laugh together. And Smokey was often just fine with it. But every once in a while, a certain person would get his hackles up. Based on Smokey’s reactions I decided not to let a certain salesman into my home, didn’t stay to chat with a certain man while we were out hiking, and decided not to keep my appointment with a certain veterinary clinic. While Smokey really seemed to have a sense of people, every other dog I have owned never came close to having the same skill. Maya, for example, seems to love everybody. Then there was a rescue dog who I was trying to rehabilitate who didn’t like anybody. So my guess is that some dogs have the sense and some dogs don’t, just like how some people are with other people. But that’s not to say that your dog can’t be of some help to you. You know how your dog is and how they are with people. So watch how your dog reacts with your date. Do they greet your date like they do with anyone else they meet? Or do they tend to stay away and go to their safe place, like under the table or in their bed? If your date tries to pet your dog, does the dog let them or does he shy away? If your date acts playful with your dog, does your dog get into the game or act wary or disinterested? Obviously, just because your dog may like a certain person doesn’t mean that this person is Mr or Mrs Right. And it doesn’t mean you should ignore any other red flags which might arise. Be safe, be smart, and use common sense. But if you missed something, your dog just might be able to tell you which one is Mr Wrong. Know your dog and look for the signs. And have a happy and safe Valentines Day. We recently posted a great article on our other blog. 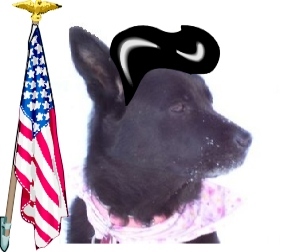 Visit the Pet Auto Safety Blog for great information on how to prepare for a home fire emergency with your pets. Did you know some of the answers from the post earlier this week? Was it hard to find the answers to the ones you didn’t know? I hope it was just hard enough to be fun. 4) Which AKC breed was developed in Boston? Boston Terrier – duh! Bonus Question) What do all these breeds have in common? They are American! How Well Do You Know the AKC Dog Breeds? 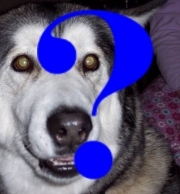 We have put together a fun trivia game on dog breeds. It is moderately difficult but you won’t have to be super-smart to know the answers to these questions. The answers will be posted later this week. 1) Which AKC breed looks like a Cocker Spaniel but has wavy hair, wider ears, and only comes as a liver or dark chocolate color? 2) Which AKC breed was first discovered among the native Inuit people? 3) Which AKC breed is the Pit Bull? 4) Which AKC breed was developed in Boston? 5) Which AKC breed appears to have history in both Europe and Australia but is generally considered an American breed? 6) Which AKC breed is the smallest of the Spaniel breeds? 7) Which AKC breed is good at trailing any animal, but specializes in raccoons and opossums? 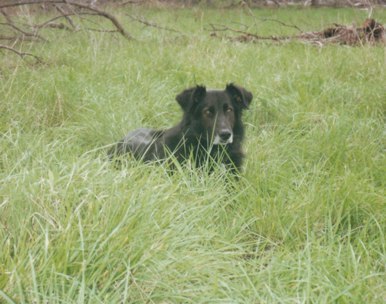 Hint – it was the first hound of its type to be registered with the AKC. 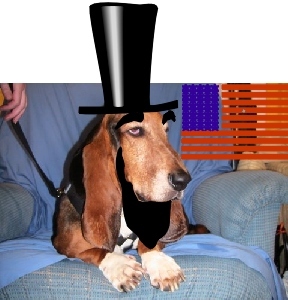 8 ) George Washington bred English Foxhounds to help develope which AKC American breed? 9) Which AKC hound comes in various brindle shades, never a solid color? 10) Which AKC breed is the only American breed in the Toy group? 11) Which AKC breed looks like a chocolate lab (or can be as light as the color of straw) but has yellowish-colored or amber-colored eyes? 12) Which AKC breed originated in the midwestern United States? 13) Which AKC spitz breed earned its popularity in the circus? 14) Which AKC breed is named for its hunting ability of the woodcock? 15) Which AKC breed can have blue and/or brown eyes, can have a naturally bobbed tail, and is never a solid color? Bonus Question) What do all these breeds have in common? Visit the AKC website for information on dog breeds or use Wiki.